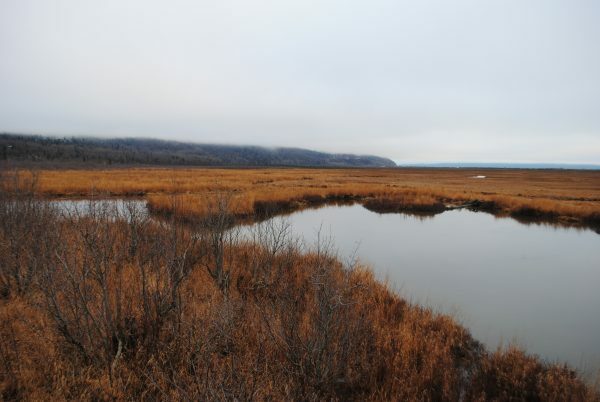 In Alaska, conversations about land conservation often involve thousands of acres that are hundreds of miles from the nearest city. But sometimes just a couple of acres can make all the difference. 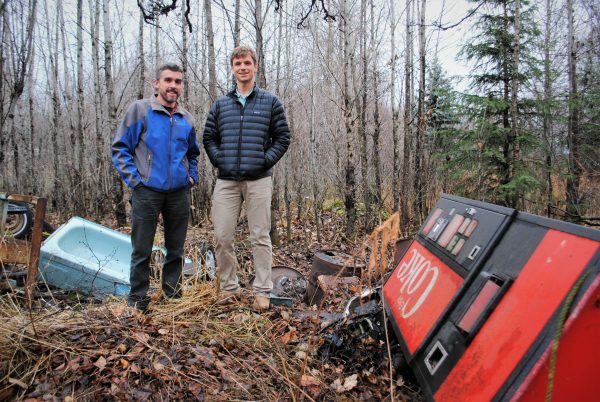 Community members in Anchorage rallied together recently to help protect one of the most popular birding spots in the city. Potter Marsh sits at the base of the Chugach Mountains. It’s a foggy day in early November and the burnt orange colored-grasses wrap around the glassy, open water. This is one of the last places to freeze before winter, which is why so many birds come to visit. “We got your standard ducks that you might call Mallards, Pintail, Green-winged Teal. There’s Snow Geese, there’s Canada Geese, [and] Sandhill Cranes come through here,” Joe Meehan said. Meehan is with the Alaska Department of Fish and Game. The season is passed now, but a video from the spring migration shows two of those Sandhill Cranes tilting their red heads back and opening their beaks wide. It’s sights like this that Meehan says attract more than 150,000 visitors each year to Potter Marsh. But those visitors probably don’t know that in the woods around the marsh there’s junk– big cast iron boilers, stacks of sheet metal, a toilet or two and a seemingly endless supply of bathtubs. There used to be airstrip here, so Meehan says the junk just started piling up. Meehan is here today with John Wros from the Conservation Fund. All the trash here– it’s unsettling, but there’s an even bigger threat. It turns out, all around the marsh is private land. Wros said until recently, there was a fear the land could be turned into condos. Fish and Game won’t have money to buy the land until a federal grant comes through in the Spring, so in the meantime, the Conservation Fund stepped in to help. The current property owners agreed to lower the price and private donors also stepped up to secure the sale. Joe Meehan said people in Anchorage have a real connection to the place. Meehan says before the sale was finalized, a crew hauled away nearly 20 tons of trash and another 50 tons of recycled steel. Now Fish and Game will make sure Potter Marsh and the land around it stay wild. After all, Meehan says that’s the way the community wanted it.